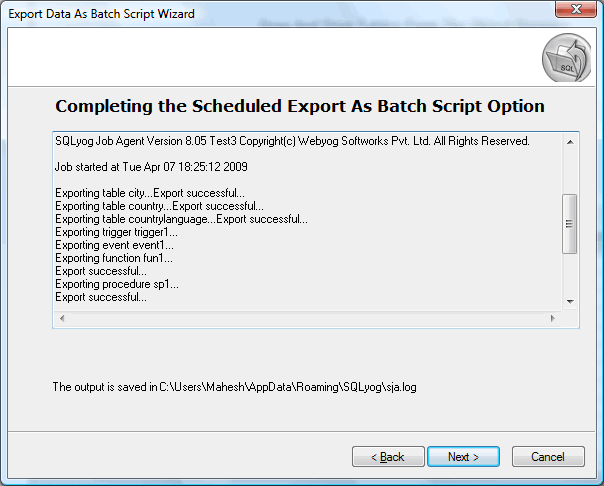 Selecting Run immediately commands SQLyog to launch the export session and show you the Wizard's log page where you can monitor the process. Selecting Save Configuration file brings up the below dialog. Specify the file name and press Finish; SQLyog will then save your session. 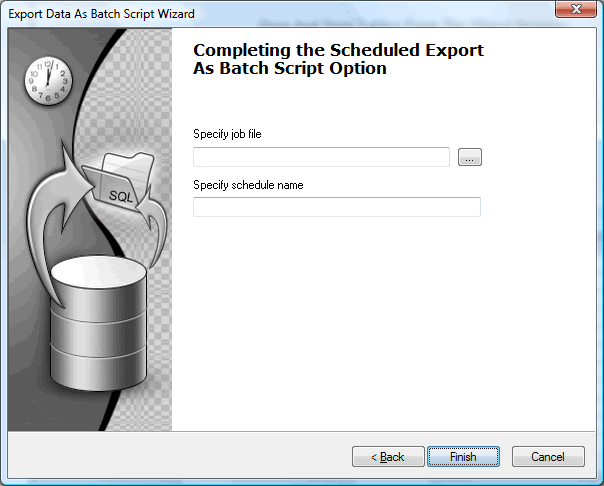 Selecting Save & Schedule It using Windows Scheduler you will get the below dialog. You need to save the session details in a XML file before you can schedule it. Clicking on Finish button starts up the Windows Task Scheduler dialog.